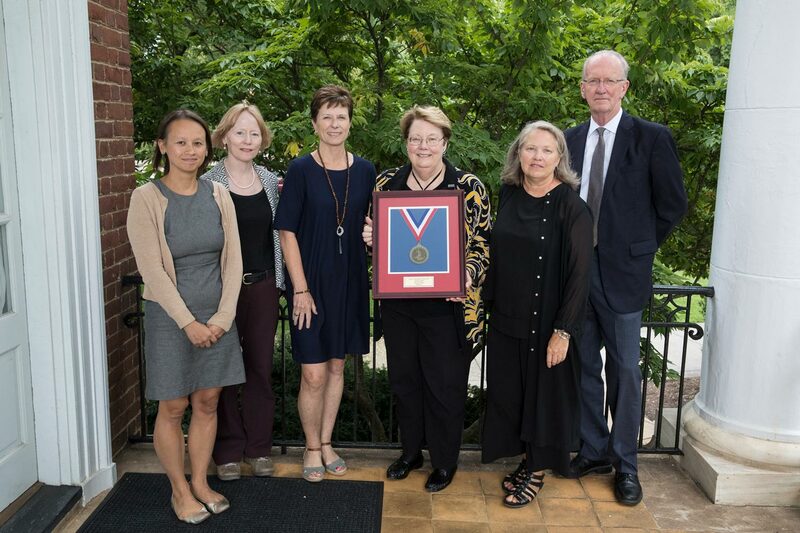 The University of Virginia was recognized as a gold medal recipient of the Virginia Governor’s Environmental Excellence Award, the commonwealth’s highest honor in the field. The award, given in April at the 29th Environment Virginia Symposium in Lexington, recognizes significant demonstrated leadership across the commonwealth and across sectors in protecting Virginia’s natural environment. The awards are sponsored by the Virginia Department of Environmental Quality and the Virginia Department of Conservation and Recreation. UVA was awarded this honor for “its demonstrated commitment to the stewardship of Virginia’s natural resources” through its comprehensive sustainability programs, according to the award citation. Winners in the sustainability program category are selected based on criteria that includes the depth of programs focused on water, air, solid waste and energy; the extent of internal involvement; quantitative and qualitative results; replicability and innovation. The University Committee on Sustainability coordinates a wide network of collaborative working groups and task forces. The University also has more than 30 sustainability-related student organizations and hosts more than 80 sustainability-related events annually. UVA’s Office for Sustainability includes several full-time staff members and manages dozens of programs demonstrating quantifiable progress in reducing UVA’s environmental footprint. Additionally, more than 100 sustainability-related courses, the global sustainability major and minor, the Environmental Resilience Institute and a Sustainability Alumni Network provide an array of opportunities for UVA students and faculty members to have far-reaching state and global impact in addressing the world’s most challenging environmental concerns. UVA Human Resources and its Ufirst Project team have received the College and University Professional Association for Human Resources’ 2018 H.R. 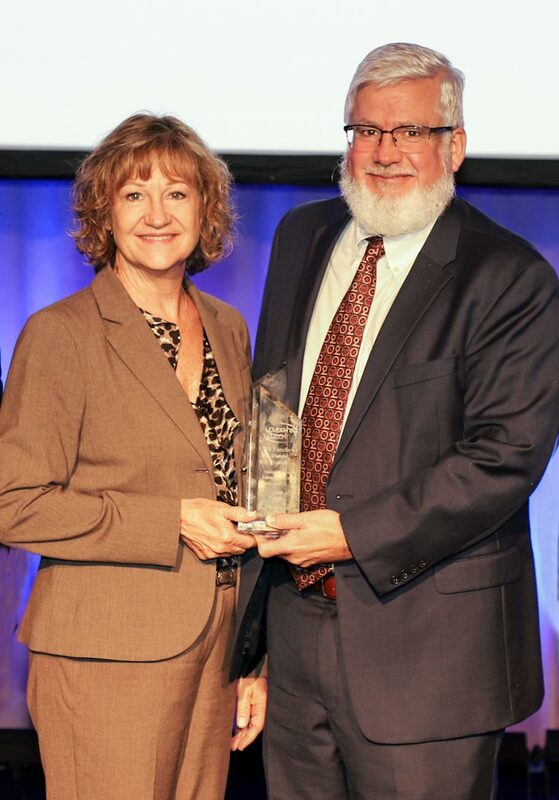 Excellence Award, which honors transformative human resources work in higher education and recognizes teams that led significant and ongoing organizational change. The Ufirst Project reimagined and restructured how UVA’s Human Resources organization functions to ensure a better employment experience across the University – including the Academic Division, Medical Center and University Physicians Group. The new system, supported by a best-in-class technology platform, provides consistent, high-quality and efficient services to the UVA community and enhances UVA’s ability to recruit, hire, retain and develop talent in support of excellence in education, research, patient care and public service. The effort involved hundreds of people across the University who helped shape the strategy for the future of human resources functions at UVA, and then participated in delivering that strategy. As part of the award, the College and University Professional Association for Human Resources made a $3,000 contribution to the UVA Faculty and Staff Scholarship Fund. 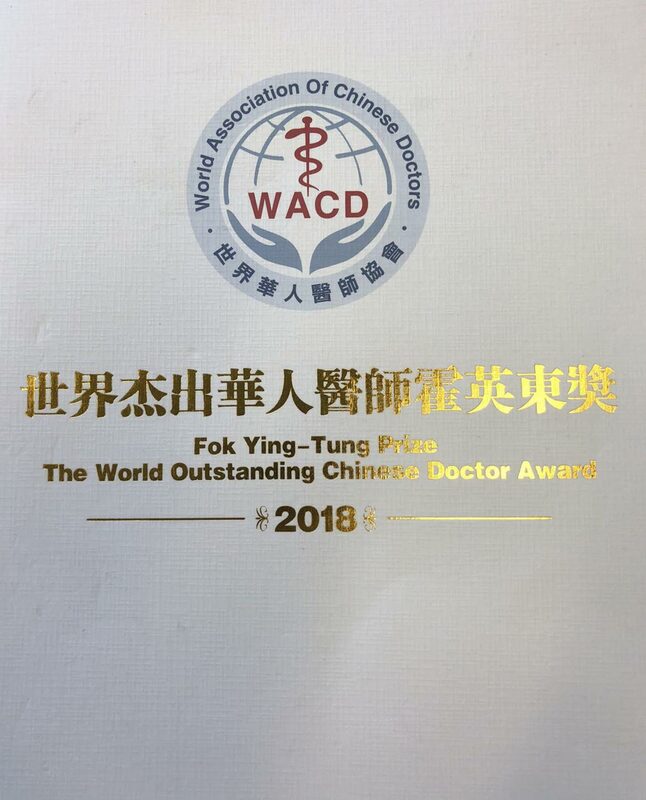 Dr. Zhiyi Zuo, professor of anesthesiology, neuroscience and neurosurgery at the UVA School of Medicine, recently was named one of 10 winners of the 2018 Huo Yingdong World Outstanding Chinese Physician Awards. The award was presented recently at a World Association of Chinese Anesthesiologists conference in Qingdao, Shandong Province. The award, launched in June, recognizes Chinese doctors around the world practicing in all medical specialties. Zuo's research focuses on neuroscience and anesthesia neuroprotection. He holds a Ph.D. in pharmacology and biochemistry from the University of Cambridge, a master’s degree in anesthesiology from the Sun Yat-sen University School of Medicine and an M.D. from Zhongshan Medical College. 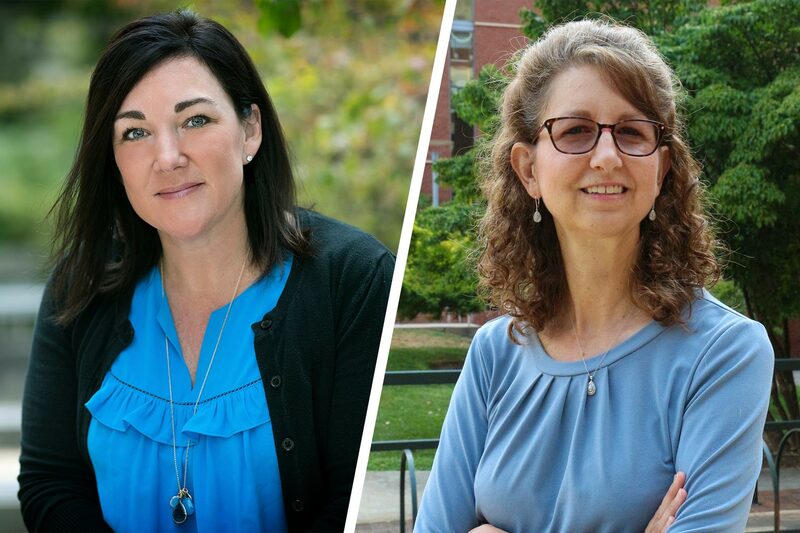 The American Academy of Nursing on Sunday inducted Jeanne Alhusen and Jill Howie-Esquivel, associate professors in the UVA School of Nursing, as Academy Fellows, among the highest professional honors a nurse may receive. The nation’s nearly 2,400 Academy Fellows include leaders in education, management, practice and research who devote time and energy to the organization and engage with other health care leaders to transform the American health care system. Alhusen and Howie-Esquivel bring to 45 the Nursing School’s number of national academy fellows, and to 32 its number of Fellows of the American Academy of Nursing – representing nearly half of all full-time faculty. Alhusen – whose research is focused on improving maternal mental health and, consequently, improving early childhood outcomes, particularly for families living in poverty – is currently studying the effect of a mindful eating intervention on obese and overweight pregnant women and their babies, and studying the experience of women living with disabilities and their ability to access family planning and sexual health services. She was also chosen by the American Association of Colleges of Nursing for its Leadership for Academic Nursing Program, and is a board member and honoree of the Association of Women’s Health, Obstetric and Neonatal Nurses. Howie-Esquivel, coordinator of the Adult Geriatric Acute Care Nurse Practitioner Program, is a board-certified family and acute care nurse practitioner with a particular interest in patients with and at risk for serious cardiac conditions. Her research focuses on improving symptoms for people with heart failure by strengthening their understanding and ability to care for themselves and manage their symptoms. UVA School of Law professor Paul B. Stephan has won the Roger and Madeleine Traynor Faculty Achievement Award, which recognizes scholarship by a senior faculty member. Stephan received the honor during a Sept. 17 faculty luncheon in the Law School’s Caplin Pavilion. The award provides $5,000 to the recipient and is generally given every other year. Dean Risa Goluboff presented the award. “Paul’s scholarly career is marked by distinction in every respect – in his publications, the impact of his scholarly endeavors on the law, and in his actual public service as a legal adviser,” she said. Stephan recently completed six years of work as a coordinating reporter for the American Law Institute on its fourth restatement of foreign relations law, an effort which he co-led, and the primary reason he received the Traynor Award. Restatements are authoritative and influential reference books on judicial decision-making and legal practice. The American Law Institute released “The Restatement (Fourth) of the Foreign Relations Law of the United States” in October. An expert on foreign relations law and international business disputes, among other topics, Stephan holds dual endowed professorships at UVA Law. He is the John C. Jeffries Jr. Distinguished Professor of Law and the John V. Ray Research Professor of Law. National health care publication Becker’s Hospital Review has named the University of Virginia Cancer Center at UVA Medical Center to its 2018 list of 100 hospitals and health systems with great oncology programs. This is the sixth consecutive year UVA has been recognized by Becker’s for quality care, and UVA is the only health system in Virginia named to the 2018 list. Dr. Thomas P. Loughran Jr., director of the UVA Cancer Center, said the honor recognizes the comprehensive work of UVA care providers and researchers to provide high-quality care to patients while also seeking better treatments through research and clinical trials. “Our team members – whether they are in a research lab or at a patient’s bedside – are always looking for ways to improve the care our patients receive,” he said. Becker’s highlighted UVA’s top-50 ranking for cancer care in U.S. News & World Report’s 2018-19 “Best Hospitals” guide, while also noting UVA’s deep commitment to research. The publication cited UVA’s $20.4 million in research funding from the National Institutes of Cancer in 2018 along with its membership in the Oncology Research Information Exchange Network, a national cancer research network with goals including more personalized care for patients with cancer. Becker’s lists the health systems named to its list in alphabetical order and does not rank them. Rebecca Kneedler, professor emerita at UVA’s Curry School of Education and Human Development, was among four alumni of the University of North Carolina School of Education honored with Alumni Achievement Awards at that school’s 17th annual Distinguished Alumni Awards Dinner, held Oct. 6. Kneedler, a 1967 graduate, was a faculty member in the Curry School for 39 years, serving as professor of education, associate dean for academic partnerships and international initiatives and associate dean for academic and faculty affairs, among other roles and duties. Before embarking on a career in higher education, she was an elementary school teacher in Durham, North Carolina and Washington, D.C.
At Curry, in partnership with the Peace Corps, Kneedler created a Masters International program, and she was instrumental in the development and approval of a dual-degree program with UVA’s Darden School of Business that culminates in M.B.A. and M.Ed. degrees. She is credited with successes in leading recruitment of more professors from underrepresented racial, ethnic and cultural backgrounds, most of whom are now thriving in leadership positions and making significant contributions to the Curry School and across Grounds. Kneedler was the first Curry School faculty member to chair UVA’s Faculty Senate. In 1998, President Emeritus John T. Casteen III appointed her to chair the University’s 2020 Planning Commission on Public Service and Outreach. And in 2013, Kneedler received the Distinguished Faculty Award from the Z Society. Dr. Spencer Payne, associate professor of otolaryngology-head and neck surgery, was elected chair-elect of the Board of Governors for the American Academy of Otolaryngology-Head and Neck Surgery. The Board of Governors was established in 1982 as a grassroots member network within the academy. It is made up of local, state, regional and national otolaryngology-head and neck surgery societies from around the U.S. and Canada, and serves as an avenue of communication with the board of directors to help improve the programs and policies of the American Academy of Otolaryngology-Head and Neck Surgery Foundation. Payne’s chair-elect position is the first in a three-year progression. Next year, he will ascend to chair, and then to immediate past chair. In all three positions, he will serve on the board of directors for the AAO-HNS Foundation. The UVA School of Nursing has been awarded Sigma Nursing’s 2019 Healthy Work Environment Award, to be officially bestowed in February at a conference devoted to the topic in New Orleans. A dedicated Nursing School team has hosted meetings, conducted polls, maintained coffee stations, tabulated data and arranged workshops to promote healthy working conditions, said Nursing School Dean Dorrie Fontaine. “These committee members drive home standards not by telling others what to do and how to do it so much as living as examples of collegiality, kindness, civility and grace,” she wrote in announcing the award to the school’s faculty. Fontaine lauded the members of the Healthy Work Environment team, who include Emerson Aviles, Edie Barbero, Becky Bowers, Lynn Coyner, Hannah Crosby, Gina DeGennaro, Tomeka Dowling, Julie Haizlip, Linda Hanson, Rebecca Harmon, Susan Kools, Devonia Love, Kathy McEldowney, Meg Norling, John Teahan, Anita Thompson-Heisterman and Diane Washington. Fontaine also thanked nursing professor Ken White, who, as president of UVA’s Sigma Nursing chapter, oversaw the many details of the nomination process. Sigma Nursing is an international honor society that develops and supports leadership in the profession.